My Fun Day – Plus Chipmunks! As I think everyone knows by now, I just love chipmunks. Needless to say, I hurried out of the house. It’s great. For those of you who do not like violent movies, I warn you that an ant is eaten by a lizard and the mouse brutally kills a scorpion. I hope that is isn’t indicative an any Mammalianism on the part of the filmmakers that the fuzzy things come out victorious. Since it was produced by the BBC, it’s playing in different museums that have large IMAX screens. Unfortunately, the BBC page doesn’t seem to be up to date on theater listings. It has the museum where I saw it today listed as “to be confirmed” under the “Coming Soon” subheading. However, if you have a museum or other institution with 3D capabilities near you, you might want to see if it will be playing there. I really don’t know how they made that movie. 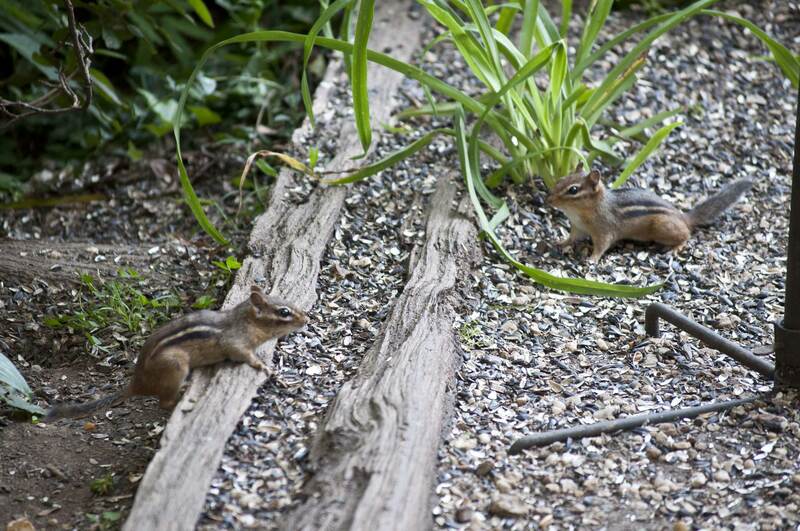 The chipmunk on the left is the friendly one. Sounds like a great day! I watched the trailer and I would be at the edge of my seat with their narrow escapes!! !